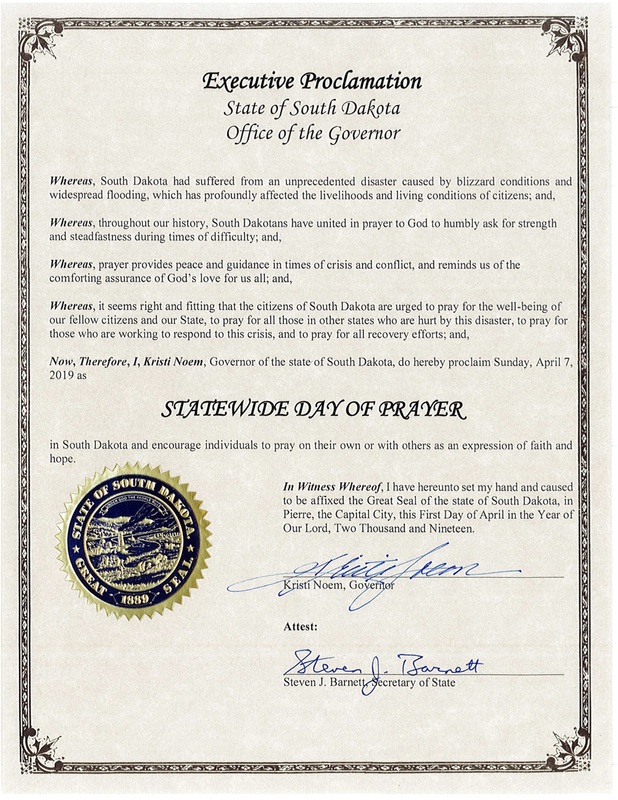 Governor Kristi Noem, Governor Doug Burgum, Governor Kim Reynolds and Governor Pete Ricketts have called each of their states to prayer on April 7 in response to the recent flooding. It is time to recruit “encouragers” for our Encourage-A-Legislator Campaign for the 2019 South Dakota Legislative Session. This is our 20th year of Encourage-A-Legislator! Some of you have been dedicated encouragers with us from the very beginning and we appreciate your faithfulness. We live in challenging times. I’m sure you’ll agree with me that much prayer is needed to restrain the enemy’s assault on our culture. Will you commit to adopting a legislator and praying for him or her daily during the session beginning in January? Each week you will send your assigned legislator a CWA-provided postcard pre-printed with a Scripture verse or inspirational quote. Simply express appreciation for the legislator’s service and note your prayers for him. Finally, add a postcard stamp and mail the card on a specified date. 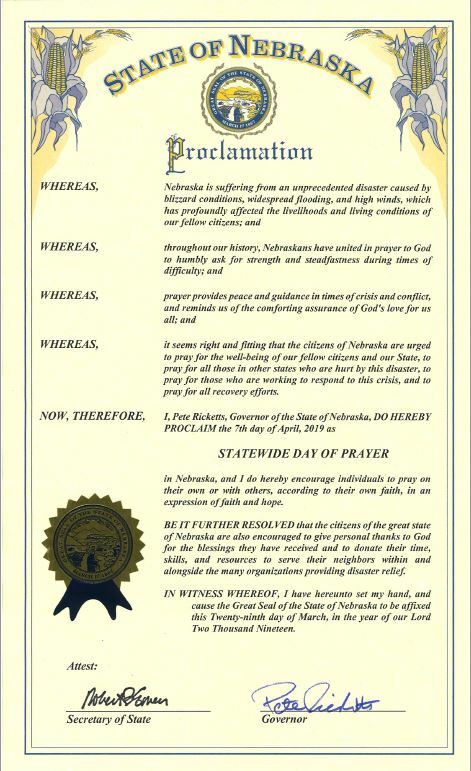 Many legislators responded to your prayers and encouraging postcards last year with words of appreciation. Your efforts encourage and build bridges with the conservative legislators as well as those who do not typically agree with CWA. Your benefit as an “encourager” is that you are energized and blessed to be a part of this effort. If you wish to participate in our Encourage-A-Legislator Campaign this year, please email Linda Schauer at director@southdakota.cwfa.org to note your commitment and provide your physical address. You will receive your postcards and instructions just prior to the opening of the 2019 South Dakota Legislative Session early in January. God bless you for your faithfulness in prayer and action. Join the CWA Mailing List!